Friday, I went to the office with Ashay dai and all the staff in the US team warmly welcomed me. The workplace was quieter and with more free space than here in Nepal. At 10, I joined the regular stand up and Jeff introduced me to all the staff there. I was very happy to see, in person, the faces that I previously saw in the photos and emails. 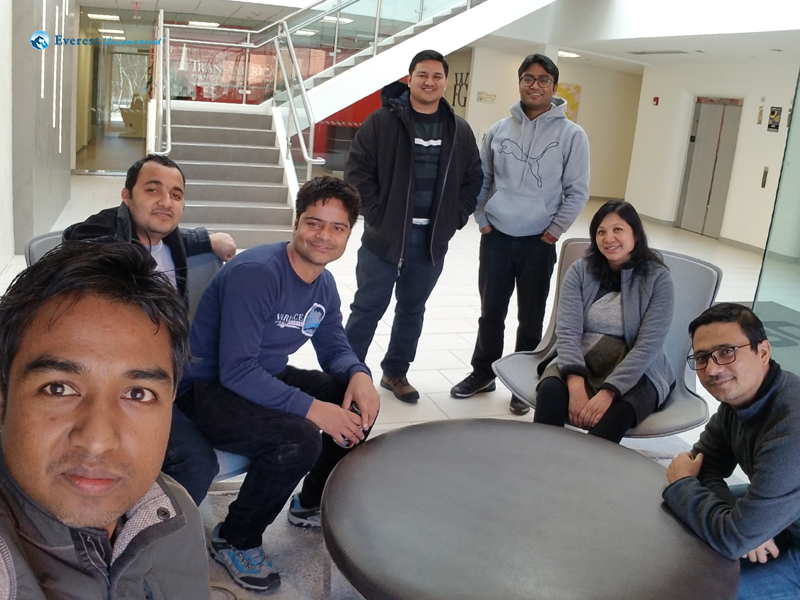 On the first weekend, I visited Harvard and MIT areas of Boston with Sagar dai and Kishor dai. I was excited to see the top universities of the world and the city area of the US for the first time. We visited the classrooms and libraries of Harvard University and also saw the first IBM computer “Harvard Mark I”. The weather was very cold. The strong wind was disturbing but could not stop us from exploring Boston. The frozen Charles river view was awesome. I had dinner with Sagar dai on that day and Sagar dai dropped me off to my room. 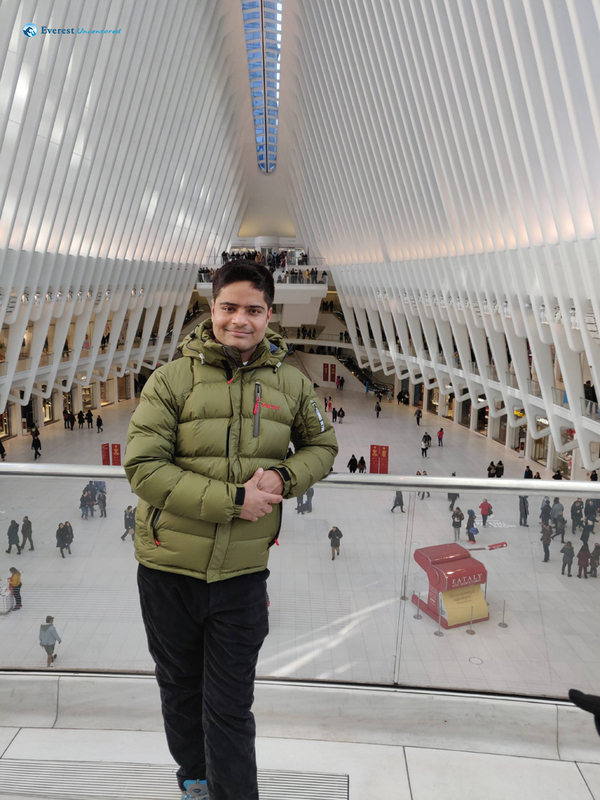 Thanks, Sagar dai, Saroj dai and family for this and other help you provided me during my stay there at the US. Day to day operation at US office was little different from what we were doing at the Nepal office. People were busy on clients call and meetings most of the time. Ed provided me some training and also give me an overview of some of the stuff like Release note preparation, Client facing release notes. We also sat down together to do UATs of the features and I had some idea about what our focus should be while testing features and figured out the areas for improvement that we could do to minimize the UAT issues. I also attended a few clients calls with Gerardo and Neeraj Dai. 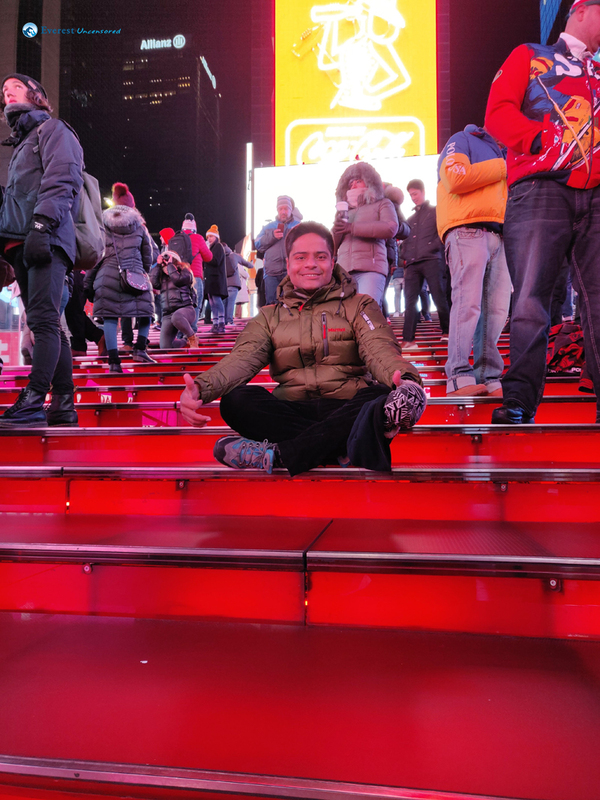 On the second weekend, we visited New York with Kishor dai. We explored the High Line around Hudson River, Empire State Building, Charging Bull, Statue of Liberty and rode a ferry to Staten Island. We also visited the 9/11 Memorial, The Oculus, The World Trade Center, Madam Tussana, Brooklyn Bridge and Central Park. 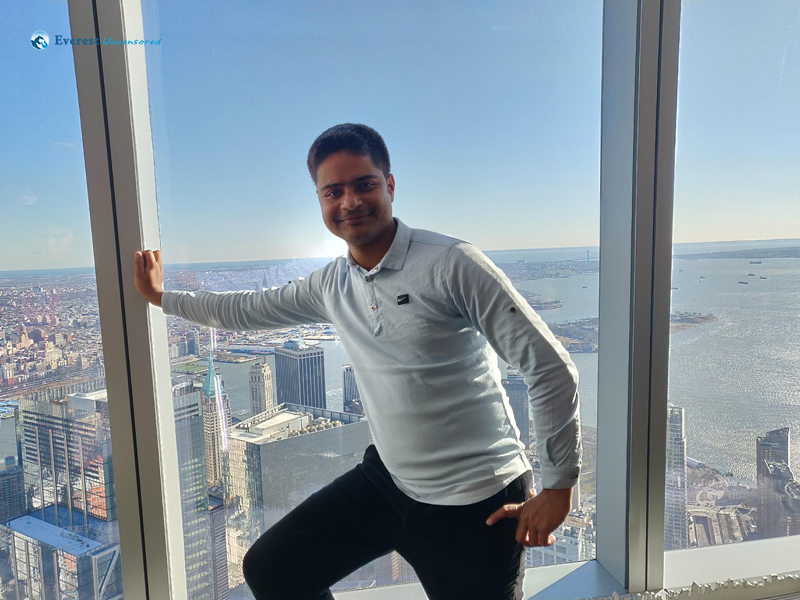 We also visited the 110th floor of one of the World Trade Center buildings. The high-speed lift experience there was great. We had our dinner at Jackson Heights where we could see lots of Nepalese and the city seemed like it was located somewhere in Nepal. 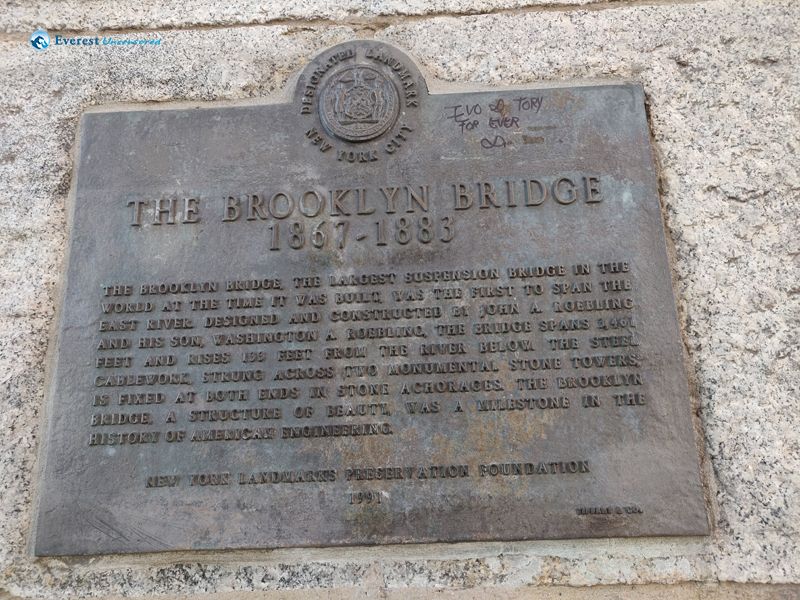 On the same day, I went to New Jersey to visit my relatives. They provided me with great hospitality. My brother took me to Pennsylvania on the next day where we visited a museum and surroundings. There we could see the flag of all the countries in the world. We found Nepal’s flag there and took a photo. 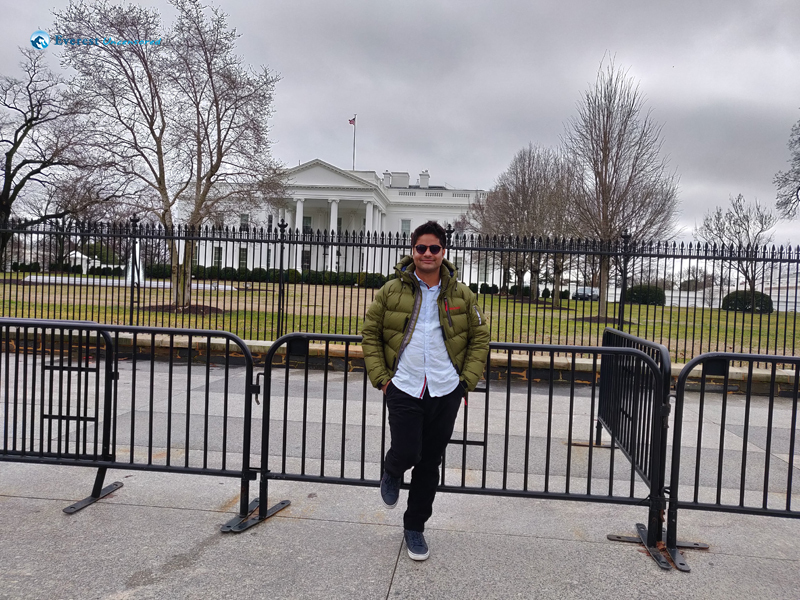 Next day, my plan was to visit my ex Deerwalk friend at Washington DC but I couldn’t due to the bad weather and I also missed the bus reserved for my DC travel. I came back to Boston alone from New Jersey. This time I knew the places more and it increased my confidence to explore the places by myself. New Apartment ( L1 😀 ) of Awanish dai and Neeraj dai was like a home for me. I stayed there for many nights. Special thanks to Awanish dai and Neeraj dai for inviting me and making me feel at home. Time spent there will be a lifetime’s memory for me. The third weekend, I meet my college friends in Boston and explored downtown areas. We visited state buildings, parks and public libraries there in Boston downtown. I stay at my friend’s apartment that night. Time spent with my friends there was awesome. We did a momo party and also played cards. I also did some shopping with my friend and Dolores (a colleague of my friend). She was very kind and helped me buy some cosmetics items. 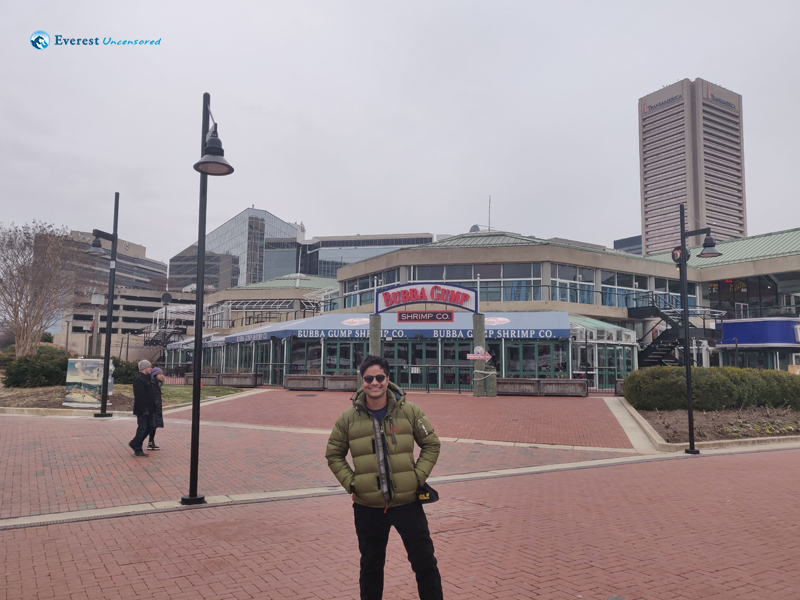 On last weekend, I went to visit my ex Deerwalk Friend Arjun in Maryland, whom I couldn’t meet two weeks before due to bad weather. Arjun warmly welcomed me and we explored areas in Maryland downtown. Surrounding view of the Inner Harbor was very beautiful. We did some shopping there too. Night party at Arjun’s house was another memorable event I had during my US visit. On the next day, Arjun took me to DC. Weather was also pretty cool and places over there were amazing. We visited the White House, President Park, Washington Monument, National Mall, and Veterans Memorials. Next day I came back to Boston from Maryland via bus. I was able to get the rooftop front seat of the bus from where I saw the mesmerizing view of the surroundings. I have to say, this trip was one of the best bus travels I ever had in my life. With this Maryland visit, I managed to visit 7 states (total states Nepal has) in the US. Some of the things I really appreciated during my visit to US was the clean surrounding and the punctual transportation system. During my stay, I traveled in more than 10 buses and 15+ taxies, and I couldn’t note more than two minutes late on their departure/arrival. Time flew, one month completed without realizing. Last day came and I was okay with it. In the last day I took a group photo with all the staff in the US office. Saying goodbye with all the loving people over there was hard for me but I had to. I would like to thank Ashay Dai, Bhauju and Jyoti for making my stay comfortable. Thanks to Suresh dai for inviting me to dinner on the day before my departure. Also, thanks to Mukta didi for taking me to a farewell lunch. I would also like to express my regards to the entire Deerwalk family of US who made my trip wonderful and memorable. I will always be grateful to Deerwalk Services for providing me such a great opportunity.